We all have those series that we absolutely love. Those that take us away and transport us into another world. Those series full of characters we wish we knew in real life because they are just so darn amazing. You know the series and characters I'm talking about. But what happens when you come into those series a thousand books in? What happens when along the way you discover another series and that one demands your time and before you know it, you have a gajillion series and not enough hours in the day to finish them all? I saw another post recently about books in series that we have all started but that some of us haven't finished yet and ones that we really do want to finish but with all the other books out there, it can be daunting to try and actually do. Those series that are fabulous but for whatever reason get put on hold for another and so on and so on. I thought it might be fun to make a list of those series and then I realized I didn't have all day to make said list so instead I'm making a list of those series that I've started, absolutely loved and want to finish before I die. A bucket list of book series that must be read so to speak. I think I stopped this series at around book eight and with only 13 books in the series I'm not too far from reaching my goal but as much as I love these books, they are super long and for whatever reason, I can only take them in small doses, as in I usually can't read more than two in a row before I need a break. 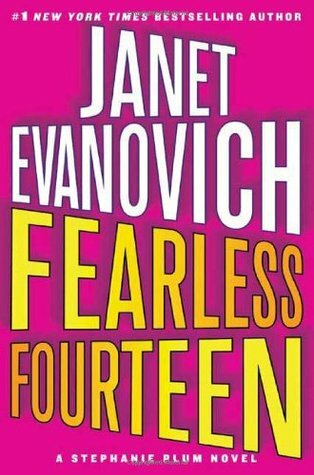 The next series is also one I absolutely adore but with the books already well into the 40's, yes you read that right, book 45 is just around the corner and this series is still going strong. It feels like I will never catch up. As of this post, I'm only on book 14! *falls down with exhaustion just thinking about all the books I have to catch up*. This series is so good though but with (usually) a darker theme, again I can only read them in small doses. 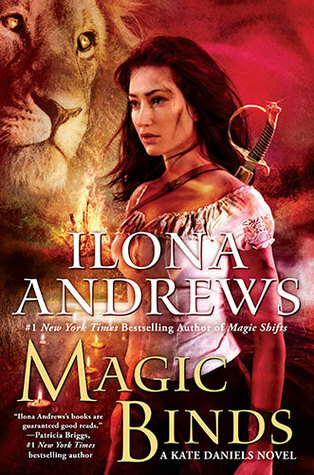 Next up the Kate Daniels series by Ilona Andrews, so okay, I only have a couple of books to catch up (thankfully) but for whatever reason, I keep pushing it back on my list of books to read and I don't even know why because again, I love this series and all the characters. If you've ever tried Jennifer's writing then you already know why this series is a favorite but again, it's one that I can't seem to get caught up on. The Stephanie Plum series is another series that is well into it's 20's with the number of books in it (and still going strong) but I find that with this series, I only read it when I need a really good laugh. It never fails to make me laugh out loud at all the hi-jinks Stephanie can get herself into but I've heard that the series starts to go downhill after a few more books so as much as I love it and want to finish it, I also don't want anything to ruin the series for me, hence, why I've put it on hold, silly isn't it? The nest series is a series that I think is highly underrated, it too is just so much fun but for whatever reason I read and couple and then end up needing to put it down for an ARC and then promptly forget about it again, which is horrible because it really is a great escape series with lovable, adorable characters. I have a hard time resisting books about witches, I can't even tell you why exactly but it was the main reason I picked up the first book in this series, Would Be Witch and fell in love with it. 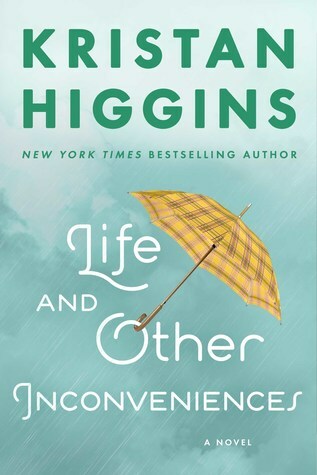 It's been so long now since I've read one, that I think I would have to go back and re-read them, which makes me sad because I really do remember liking it and would like to finish it some day. 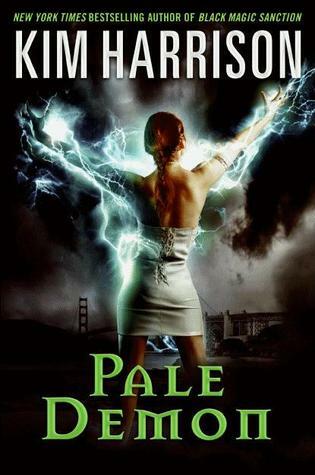 Another underrated series that when I read the first book, years ago, I immediately liked and having it be about the fae, something I don't normally like, was unusual for me but there was just something about it. 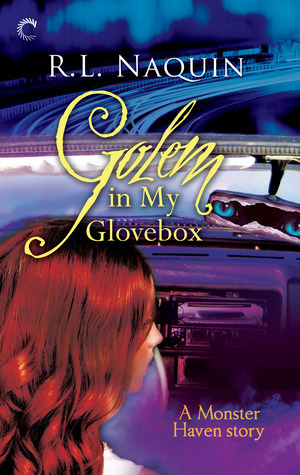 Thankfully (or not so thankfully for those waiting) the author went on hiatus for awhile so I only have about three books or so to catch up but if you like a good solid UF and the fae, this is the series for you to try. And last but not least, The Iron Druid series. I first tried this series last summer after having it recommended to me time and time again I finally caved and you know what, it really was something different. Told in the male POV, it was a nice change in the UF world. Plus, it is riddled with humor and hey, a talking dog, how can you beat that? So yeah, there is my not so small list of series that I feel like I will never catch up on but really hope that some day I will.. So have you read any of these? Are you as behind on them as I am? What are your series that you love but are so behind on you feel like you will never get caught up on? Yeah it is hard sometimes to pick and choose isn't it? In Death series is on my bucket list! There are so many books, though! 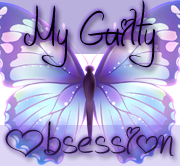 I seriously think it is the one series I will never get caught up on! I'm a few books behind the Iron Druid series too. I'm all caught up with Kate Daniels but I'm behind on my reviews for it. I wanted to finish the Series of Unfortunate Events which I started a couple of years ago since the Netflix show is out. I read up to book 8 but they are repetitive if you read them back to back so I've been splitting them up. Have you thought about listening to them on audio, Ali? It helps, especially if the narrator is really good. I've tried audio but for some reason I just can't listen to them. I end up leaving the room or thinking about something else while they are playing and before I know it, I haven't been listening for the past ten minutes and have to rewind it. I have no idea why! But you're right, I really would be able to get so much more read if I could. I have so many series that I have read two out of three books but never finished. So frustrating. I am caught up on all my favs, but there are a couple I have been meaning to start but haven't like Psy Changeling and Jennifer Estep. One series I never finished that I should was Jeannienne Frost's Night Huntress. I would tell you that the Hollows really took off for me with Pale Demon, it got so good after that. The last couple in the Kate Daniels were fantastic. I still adore The Iron Druid Series but a couple of the latter books weren't as good. I would highly recommend the audio books of all of those series. That is one way I can stay caught up. Try getting them through your library via Overdrive. I get so many of my audiobooks that way. I stopped the Night Huntress too because the last book I read, which I think was the next to last one or two before that wasn't that good and I just never had a desire to finish it. I really do need to pick up The Hollows again though, I really do love them. Thanks for letting me know about the Iron Druid series, I'll keep that in mind as I get closer to the end. 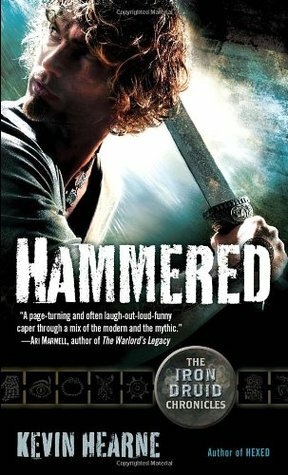 I haven't read any of the Iron Druid series but I DO want too. There are a lot of series I still want to read. I'm not in the midst of too many, but I've definitely abandoned some I suppose. Ugh! I feel your pain! I have so many series that I'm running behind on. But at least this way we can binge! I so need to start the Iron Druid books! You do know I'm going to start bringing out the whip soon for some of these, right? I haven't read any of those but I'm kinda picky about series that I read. I have a few that I love but I read as soon as the next book comes out. The Dark Series by Christine Feehan, Anita Blake Vampire Hunter series by Laurell K Hamilton, Dark Hunter series by Sherrilyn Kenyon. Those are my auto buy series. Sadly those are all ones I haven't tried yet. I’ve just posted a discussion about series too, Ali. In truth I find series with more than 3 books intimidating, it seems like a big deal to pick up series with 5 or 9 installments (45 books is my nightmare, lol). Actually it’s the reason I still haven’t started Kate Daniels series. For some reason listening to the series works better for me. I often start series on vacations when I take pause in blogging, so I don’t feel pressure. Oh, and I have The Iron Druid series on my tbr-list forever, and even Rachel’s praises for the audiobooks didn’t work with it. I see a lot of new-to-me series on your list, but I’m not sure I want to add new series to my long list. Lol. Good luck with your plans! I don't blame you, they are daunting sometimes and there are so many out there too, it can seem never ending sometimes. Starting them while on vacation is a great idea! Of course the Hollows series comes up NOW, with The Turn just out but HOLY MOLY!!!! I've got almost all these books on my TBR and series I haven't finished list!!!!!!!!!! Seriously!! 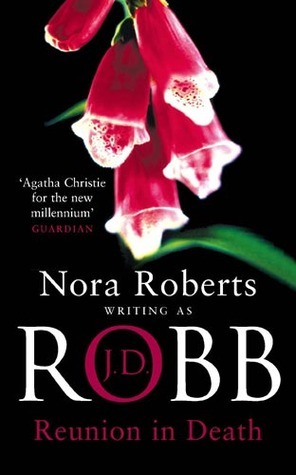 JD Robb, I got 3 books in and LOVED them and but it is so intimidating to think of all the books in the series!!! I really need to pick up Kalayna's books again, too!!! I adore her type of nasty fae!!! Oh, I miss that series!! Man, I could go on and on and on!!! I highly approve this list!! *high fives you* Glad I'm not the only one. It can be intimidating sometimes! As for the reviews, don't feel that way at all! We all start somewhere. I'm sure many of my reviews don't even come close to doing the books or author justice. You've got some of my favorite series on this list. Kate Daniels, The Hollows, Iron Druid, Elemental Assassins, and Alex Craft. I've got some that are like that. I've spent most of last year tying to get caught up. I made a pretty good dent in my series. I plan on doing that this summer/year as well. I just finally am caught up on the Mercy Thompson series. I haven't started her Bloodline series yet but I loved her Georgina Kincaid and her VA series. I really should read the spin off. 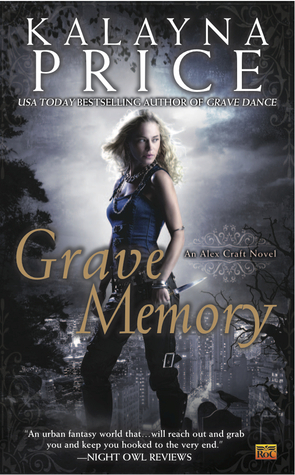 This is why I can't read urban fantasy---there are just TOO MANY books and it feels impossible to keep up. Seriously, that series with 45 books would give me heart palpitations! It does when I think about it too much LOL! I am so with you one some of these. I keep pushing The Hollows series back. Don't know why. I love Ilona Andrews, but I keep putting of the next book, now I am three behind. it's bad. 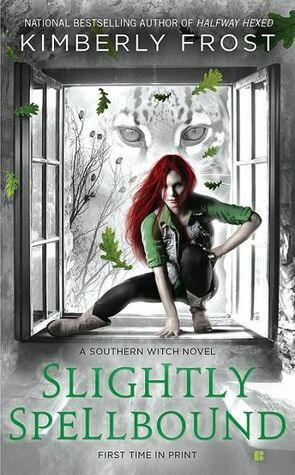 Slightly Spellbound has been on my radar because I also really like books with witches. Don't feel bad though your blog and love of books helps authors and readers everywhere! Only 7? Way better than me LOL!